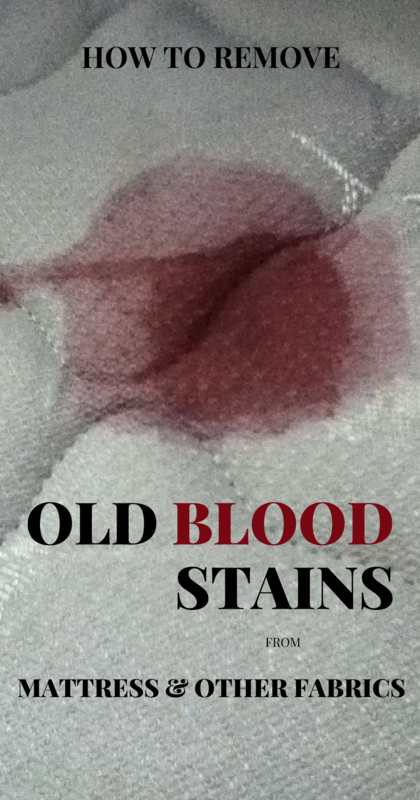 Accidents just happen, so most of us have faced at least once with blood stains on clothes or on bedding. They are incredibly hard to remove, whether on white clothes or on colored clothes, especially if you don’t act immediately. Prepare a solution of 2 tablespoons of ammonia and a cup of water, apply it over the stain and gently swab with a clean cloth. Then make a solution of one cup of vinegar and 2 cups of water and apply it immediately over the stain, rinse and wash with detergent. In emergency situations, you can use saliva and then cold water and soap to clean small stains on delicate fabrics. Enzymes in the saliva decompose proteins found in blood that make stains so difficult to remove.